Sarah Wong founded Kids Focus Physiotherapy in 2007 with the mission of providing timely, high quality and evidenced-based physiotherapy intervention. Every physiotherapist at Kids Focus Physiotherapy has had comprehensive training and clinical experience in paediatric physiotherapy. In total, we have a combined experience of 40 years in paediatric physiotherapy care and expertise, making us the most experienced team of paediatric physiotherapists in Singapore. This is a remarkable asset and an invaluable resource for our children and their families. Kids Focus Physiotherapy is highly experienced in providing intensive physiotherapy programs. Intensive mode of physiotherapy is especially relevant for international patients or patients after specific medical procedures (such as intra-muscular Botox) or surgical procedures (such as selective dorsal rhizotomy). We utilise the most up-to-date scientific tools (such as Alberta Infant Motor Scales etc) in our physiotherapy evaluation and intervention. Kids Focus Physiotherapy is the only physiotherapy centre in Singapore trained to use suit therapy and the Universal Exercise Unit. Sarah graduated from University of Sydney with an Honours degree (Class I) in Physiotherapy in 1995. She was the Head of Physiotherapy at Rehabilitation Department of KK Women’s and Children’s Hospital in Singapore, leading a team of 12 physiotherapists in the 800 bedded hospital. She received her advance training in paediatric physiotherapy at leading institutions in USA. She is also the first paediatric physiotherapist in Singapore to be certified as a Clinical Exercise Specialist with the American College of Sports Medicine in 2006. Sarah has presented numerous research papers in local and international conferences, taught at many local and regional workshops and numerous intra-hospital professional training and presentations. She is a highly sought-after speaker and trainer in the region. 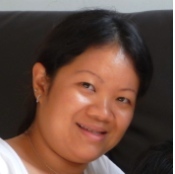 Sarah has taught paediatric physiotherapy at Nanyang Polytechnic and is a volunteer physiotherapy lecturer with Singapore International Foundation International Volunteerism program. As part of her volunteer work, Sarah has traveled to Cambodia to teach the local physiotherapists and she has also developed home physiotherapy training guides for foster homes in China. Sarah has a special interest in spasticity management. She is fully qualified to assess and prescribe spasticity management strategies, working hand in hand with paediatricians, orthopaedic surgeons, neurosurgeons and neurologists. In addition to spasticity management, Sarah has helped children and families across the entire range of motor delays and disabilities and from NICU, PICU, and acute care to rehabilitation. Sarah is a member of the Singapore Physiotherapy Association. Serena graduated from Curtin University of Technology with a Bachelor degree in Physiotherapy in 1999 and from University of Queensland with a Masters degree in Physiotherapy in 2005. She is a member of Singapore Physiotherapy Association and she also qualifies to register and work as a physiotherapist in the states of Western Australia and Queensland, Australia. 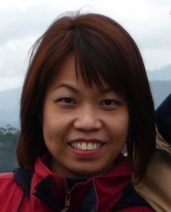 Serena has worked in numerous clinical settings all over Perth, Brisbane (Australia) and Singapore. She has worked with children and families in the NICU, prolonged hospitalization, home care and early intervention. Families who have worked with her in clinic routinely request for her to make site visits to their homes, schools, sports teams and gyms to facilitate their children’s’ transitioning more challenging physical environments. With over 12 years of continuous paediatric physiotherapy experience behind her, Serena has all the necessary expertise to provide physiotherapy intervention for a large spectrum infants and children.